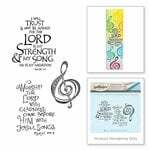 Share your faith through your creativity with the As The Deer Unmounted Rubber Stamp Set from the Bible Journaling Collection by Art Impressions. 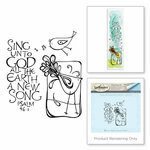 Included in the package are 7 cling rubber stamps in images of deer at the creek, scripture, trees and more. 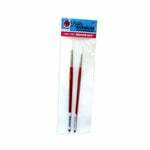 Use the set with an acrylic block of your choice and your favorite inks, sold separately. 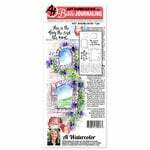 The stamps are designed by Bonnie Krebs.